"A handwritten note like original art is a special creation that comes from the heart". Each year I sit down in my little studio and design a holiday card to send out to special people in my life. Last year I combined calligraphy and watercolor in my card. 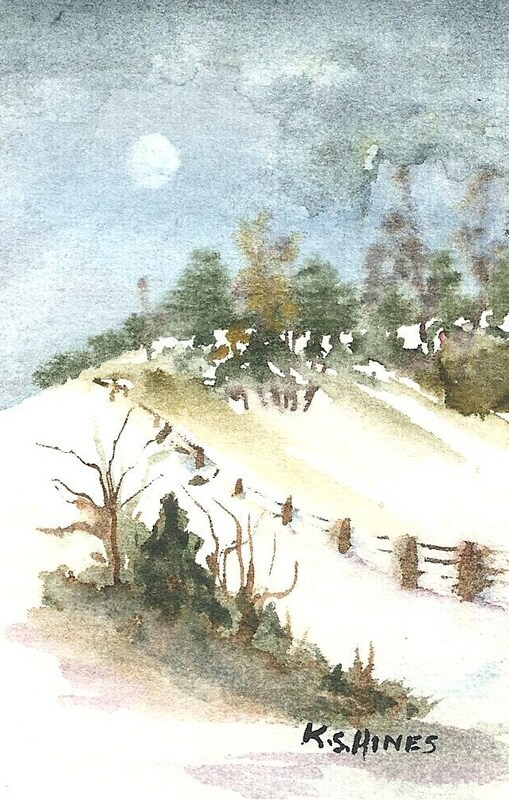 The inspiration behind last year's Christmas cards was an olde Irish poem featured in a touching episode of "Little House on the Prairie".